CAMBRIDGE, Mass. — A Harvard Bible course about the Pauline letters has generated huge interest, with thousands registering to take the course from all over the world. The Harvard Bible edX course entitled Early Christianity: The Letters of Paul has drawn 22,000 students from more than 100 countries around the world—and the number is still growing. Laura Nasrallah, professor of New Testament and Early Christianity and course instructor, told the Huffington Post in an email that she was pleased with the interest the course had generated and that Paul was proving to be more popular than famous people. Reflecting on why the biblical letters still have significance in the world now, Nasrallah said in a video to promote the course that the letters penned by Paul answered incredibly important moral issues that face our world today. The course, which began last week, attracted 22,000 students across 180 countries. More than 14,000 of those students accessed the software, spending a total of 2,822 hours on the course so far (201 days). The course forum boards, which allow discussions between students, have reached 22,000 posts and are increasing every day. The subject explores the content of the New Testament letters as well as the wider context of the Roman Empire. The program also looks at the permanent impact of the letters on today’s world. The syllabus explores the religious political context, their first interpretations and how and why they have such an impact on society today. Nasrallah told the Huffington Post that the discussions on the boards have been respectful so far. edX is an online course platform founded by Harvard University and Massachusetts Institute of Technology (MIT) in 2012. It is a non-profit that delivers university level course material to global audiences for free. 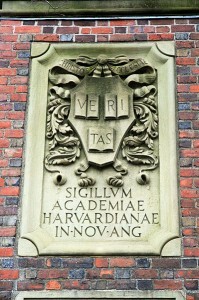 Harvard offers 21 courses on the platform, as do other universities offer courses. These include MIT, University of California Berkley, Cornell University and Peking University. Those taking part in the course do not receive a certificate from Harvard University.